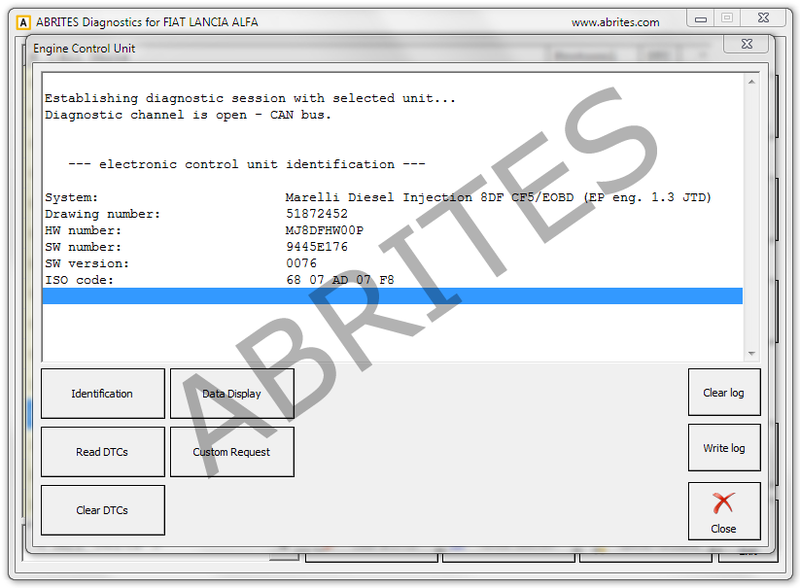 ABRITES Diagnostics for Fiat/Lancia/Alfa/FCA is an advanced diagnostic software application designed to work together with the Abrites Vehicle Diagnostic Interface to perform basic and advanced diagnostics in Fiat, Lancia and Alfa vehicles. 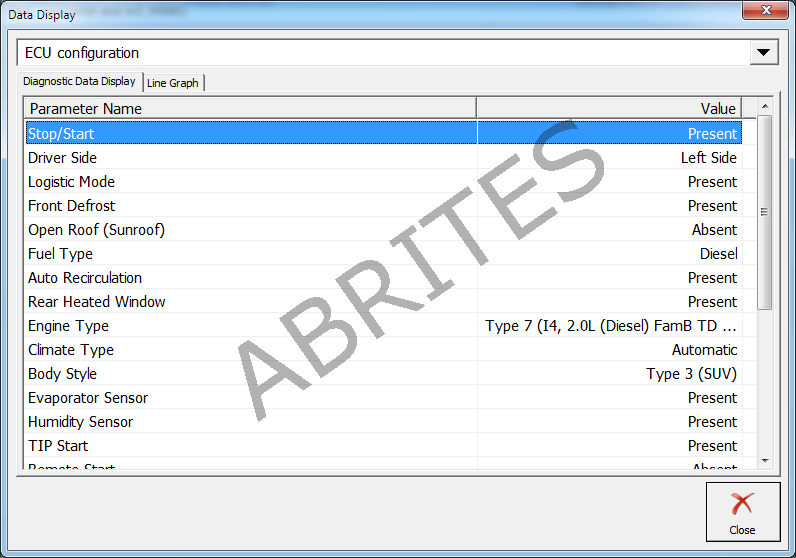 It provides full module identification for the Fiat Chrysler Automobiles vehicles as well, it allows diagnostic trouble code reading and clearing, also the ability to perform actuator tests in order to determine the cause of an electrical or mechanical fault. 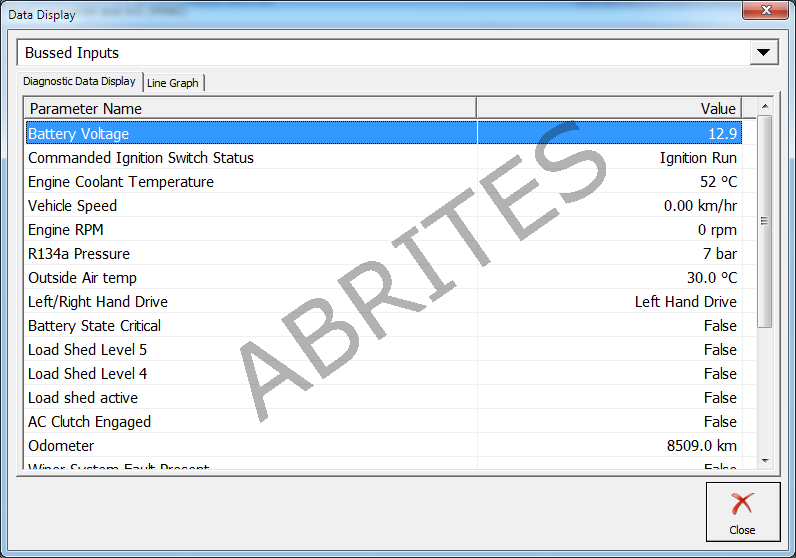 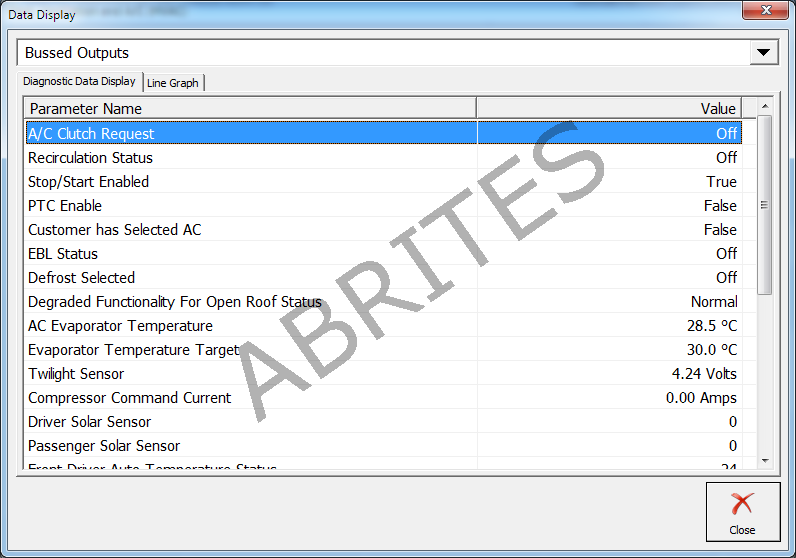 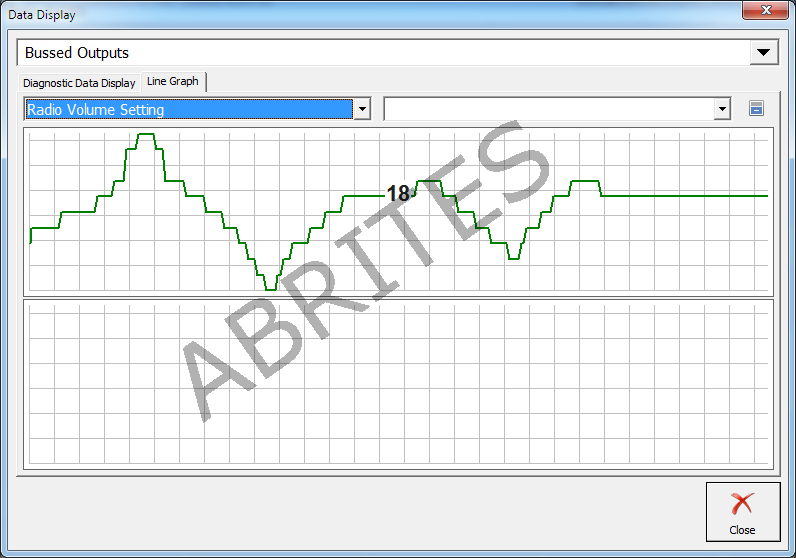 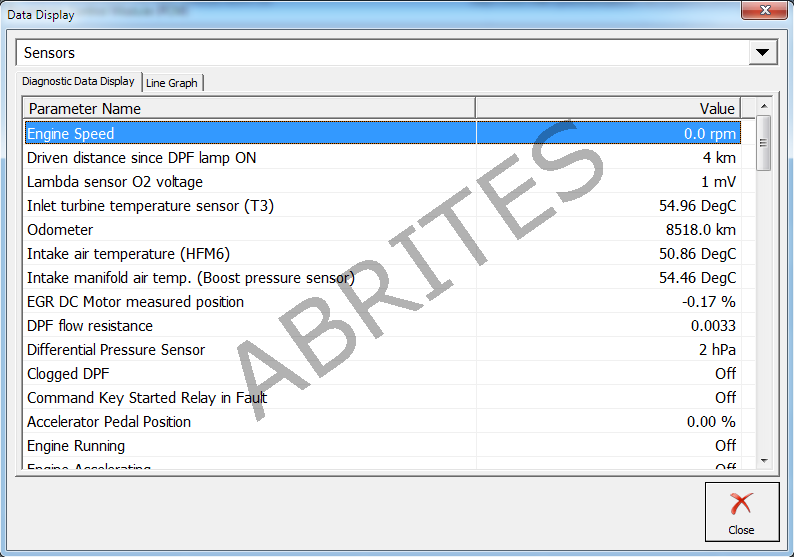 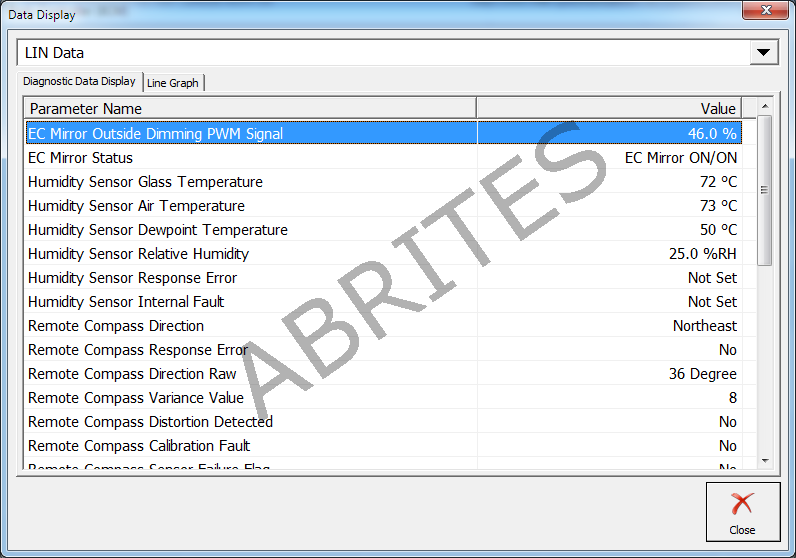 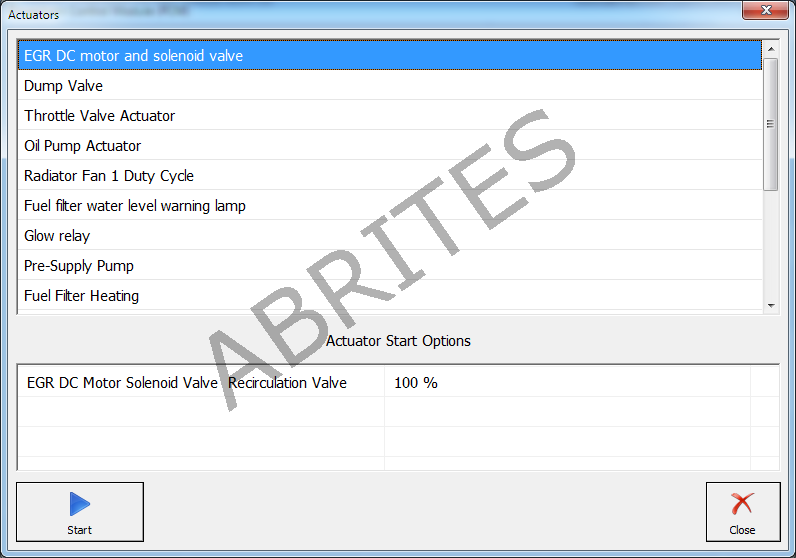 The diagnostic functions provided allow it to be on par with OEM diagnostic equipment while applying the intuitive and simplistic approach tipical for the Abrites diagnostic software. 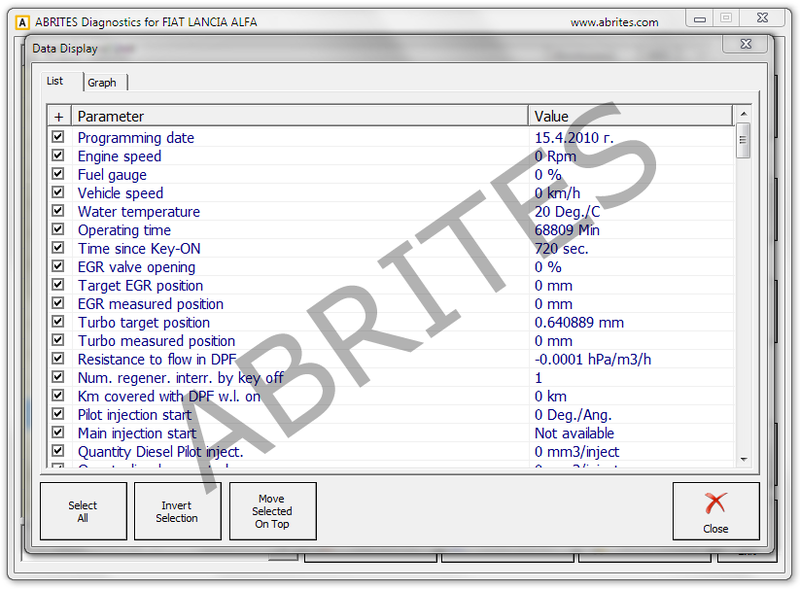 Abrites diagnostics software allows the user to work with almost 100% of the vehicles by Fiat, Alfa Romeo, Lancia and models from the FCA Group (Fiat, Alfa, Chrysler, Dodge and Jeep including models built after 2013). 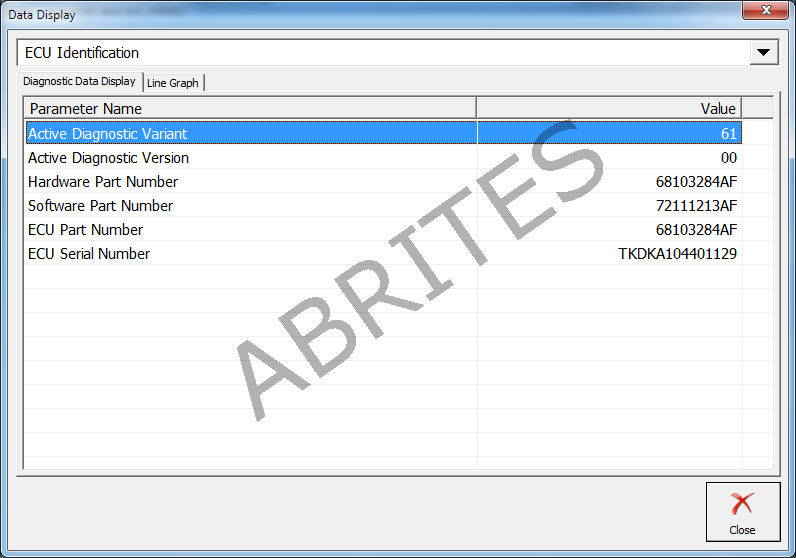 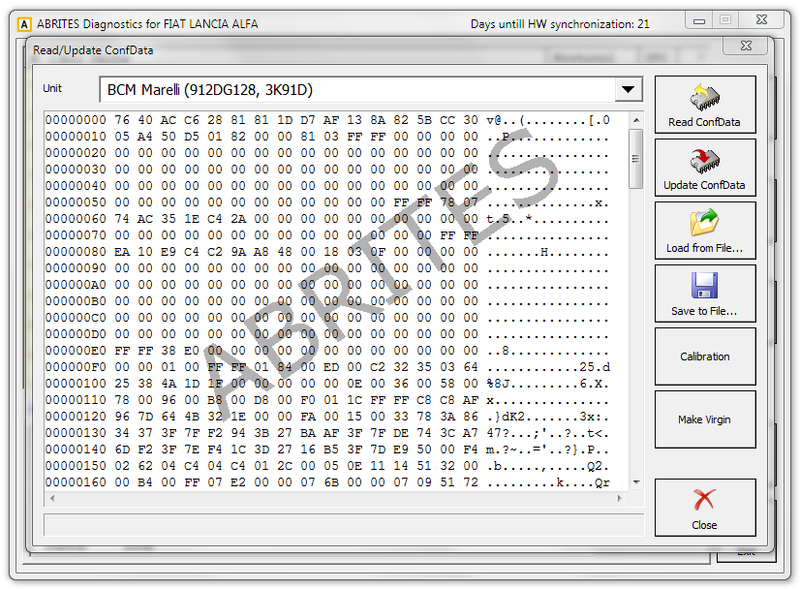 – BCM Delphi (93C66) – NOTE: PIN Code is required! 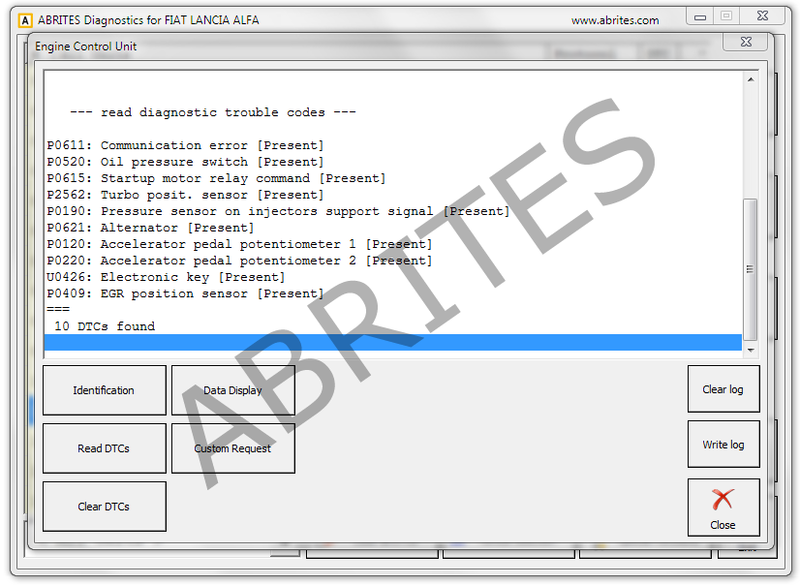 Transponder maker – Preparing transponder by dump of immobilizer to be ready for key programing. 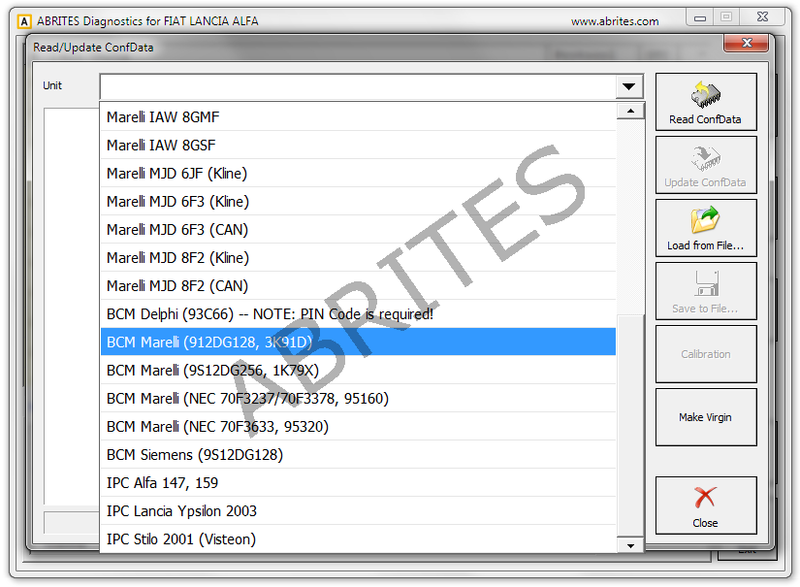 Key learning – by OBDII key programming for variuos models Fiat, Alfa, Lancia – Alfa 147, Mito; Fiat 500, Bravo, Grande punto, Croma, Doblo, Ducato, Fiorino, Idea, Palio, Panda, Stilo; Lancia Thesis, Delta.